Can you believe that summer is almost gone? Well, it is. 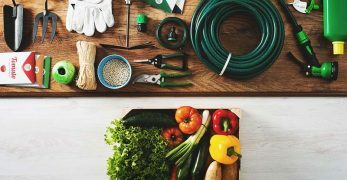 August is a month where you finish up one gardening experience and begin prepping for the next. an excellent a busy month for gardeners. But are you sure what you’re supposed to be doing this month? Don’t worry if you don’t because we have you covered. 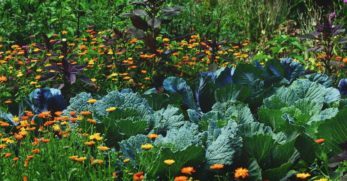 I’m going to share with you what you should be doing around your garden in August by planting zone, region, and even a few general tips for almost any garden. 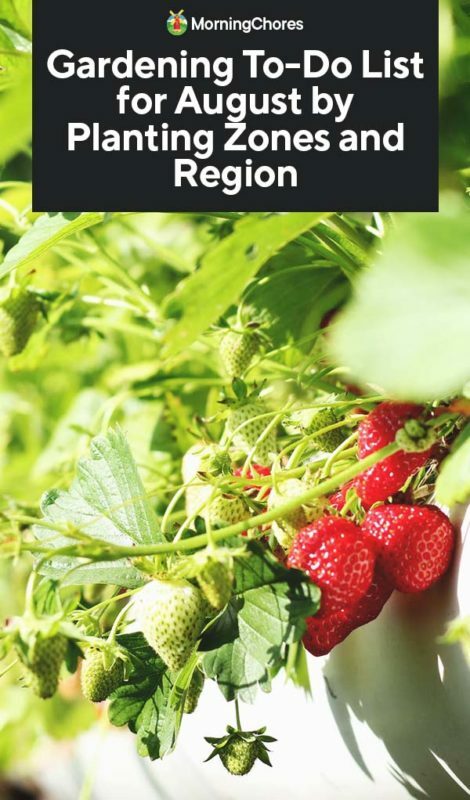 Use our free tool if you don't know what your planting zone (or Hardiness Zone) is yet. If you have specific plants which did well this year, save their seeds. Instead of pulling the plants up when they’ve finished yielding, allow them to go to seed. 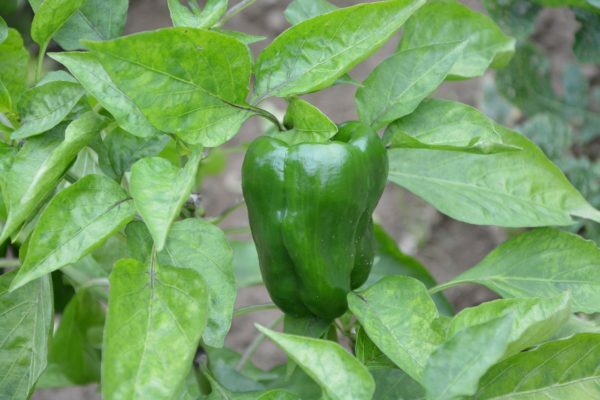 However, if it’s a plant which produces fruit (such as peppers or tomatoes), then remove the seeds from the fruit produced and dry them for later use. Some plants in your garden should still be producing this month. Squash is one which should be providing you with a decent yield at this time. Wait until the squash are approximately four to eight inches in length before you harvest. This will encourage more production. Since squash is a quick growing plant which can produce quite the harvest, it’s important to know how to protect them. Spray the squash plants down in the morning. 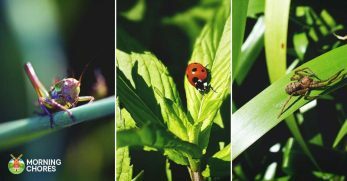 It should help to alleviate some of the threat brought on by aphids. 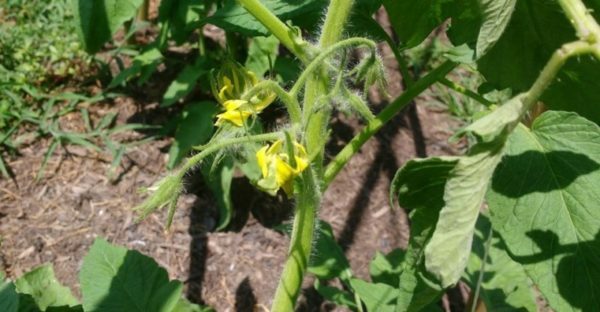 Approximately two weeks into August, begin removing flowers from tomato plants. 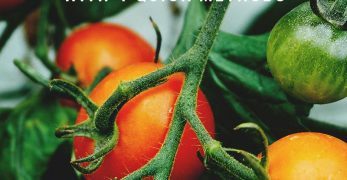 Doing this will encourage the plants to focus more on ripening the tomatoes already produced. Instead of putting energy into forming more fruit. 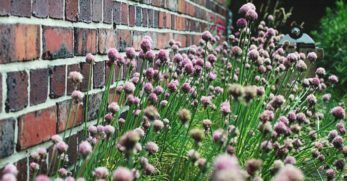 August is a time when you should begin preparing perennials for the cold winter months. You do this by lowering the amount of water given to them. As the seasons change, it’s important to begin preparing your plants for frost. Sometimes frost comes earlier than expected. Go ahead and have sheets, plastic, towels or even cold frames ready to cover plants when the frost comes on without much warning. During the summer, some people put their houseplants outdoors to give them breathing room and direct sunlight. If you’ve done this too, August is a good time to begin bringing the plants indoors. You need to get them acclimated to their winter setting before the frost. August is also the right time to bring plants you started outdoors, indoors. Some plants don’t do well over the winter if left outside. In those cases, it’s important to bring the plants indoors where they can be protected from the elements. They can be moved back outdoors after winter. If you live in zone 4, now is the time to plant fast-growing plants. You still have time to have more fresh vegetables in your garden. 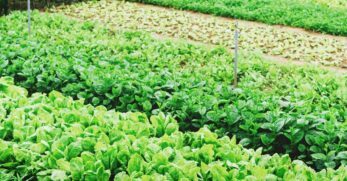 However, be sure to choose crops (such as lettuce) which will produce abundantly and quickly before the weather gets too cold. If you plan on having pretty blooms in the spring, August is the month to get started. 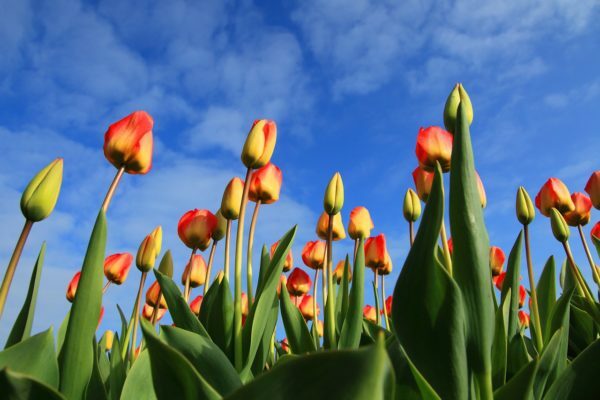 Choose the bulbs you desire to bloom in spring. Once decided, shop for the bulbs this month. They’ll need to be planted next month which is why it’s important to have them on hand. Strawberries will reproduce quickly. Sometimes the beds of berries can become overcrowded. Now is the time to thin out the strawberries. 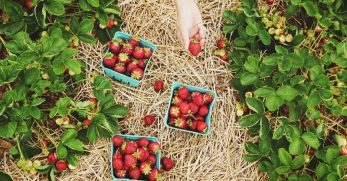 You can either remove certain plants and toss them to the compost, or you can transplant the overcrowded strawberries in another bed. August is the month to begin retaining tomato and pepper seeds for next year’s planting. By saving seeds, you not only get the desired genetics you want, but you also save money. August is the time to plant spinach if you’d like a fresh harvest of it in the spring. However, it’ll need to be planted in a cold frame greenhouse to protect the seeds over the winter. As the seasons prepare to change, the summer garden will inevitably end. The plants will begin to die off and stop yielding any produce. Now is the time to pull up the dead crops and plant a cover crop. The cover crop will help protect your soil from the harsh elements of winter. 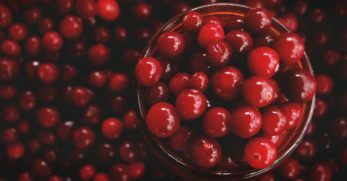 Have your berries stopped producing? Are the canes shooting out every which way? It’s time to end the madness. Once the berry plants stop producing, prune the canes back. Pruning will help them to look better and stay healthy. If you have strawberry beds, it is time to take care of them. Be sure to remove any weeds which may have moved into the beds. 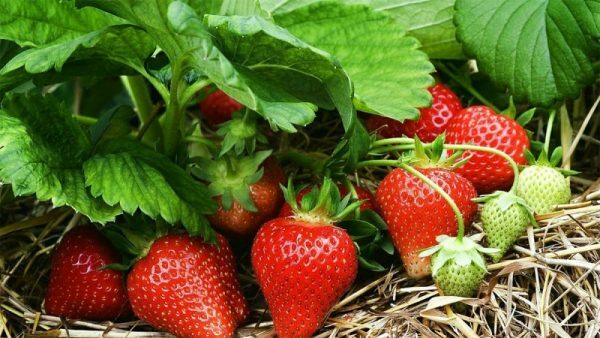 Once all the weeds have been removed, cover the strawberry plants with a thick layer of mulch. Mulch will insulate the plants and protect the soil. 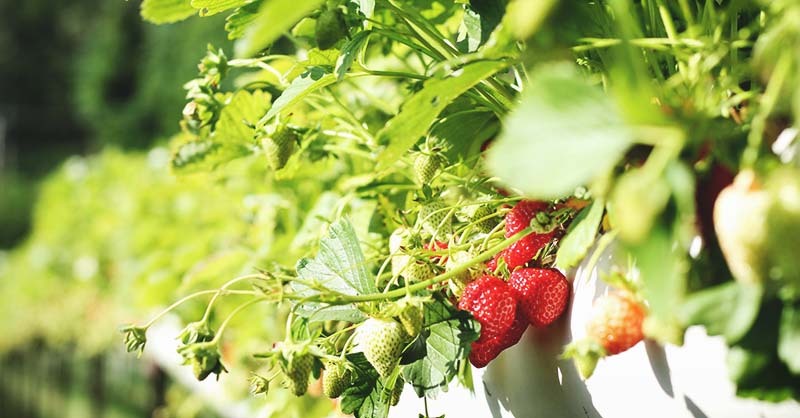 It’s common to have strawberry plants start voluntarily in the beds. Instead of allowing over-crowding to take place, transplant the volunteers to a new bed. Then you will have adequate spacing in each bed, and it’ll also give you a larger strawberry harvest in the years to come. As the seasons prepare to change there’s more to do. 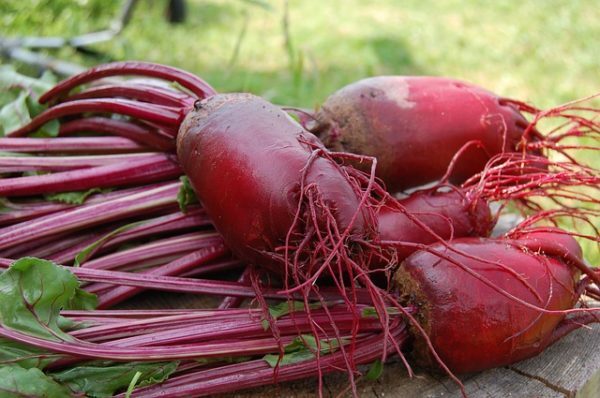 You can begin planting beets, radishes, carrots, and turnips this month. What a delicious fall harvest you’ll have by putting in the work now. You’ll be glad you did when you’re craving something fresh. It’s common for August to be a dry month in some places. If this is the case in your area, be sure to pay close attention to your plants. When you don’t get enough rain, be sure to supplement by watering your plants deeply once per week. August is the perfect time to plant lettuce and spinach. If you want to hang on to fresh salads for a while longer, start planting these crops. 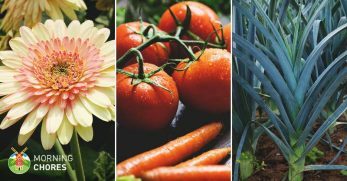 You’ll have a harvest in no time flat and still have ample time to enjoy the freshness your garden provides. If you want gorgeous blooms in the springs from pansies, now is the time to get started. Start pansy seeds indoors this month. Once the seeds have grown, harden them off, and plant them outdoors. This way they’ll bloom in the spring. August is also the perfect time to sow other flower seeds. If you enjoy flowers such as poppies, directly sow them into the desired area this month. They won’t do anything immediately, but when spring rolls around again, you’ll have gorgeous flowers everywhere. Herbs are best harvested when they’re in full swing. 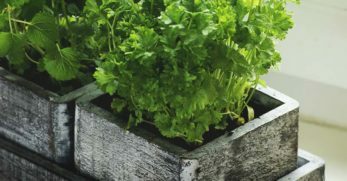 For that reason, harvesting herbs should be on your radar this month. 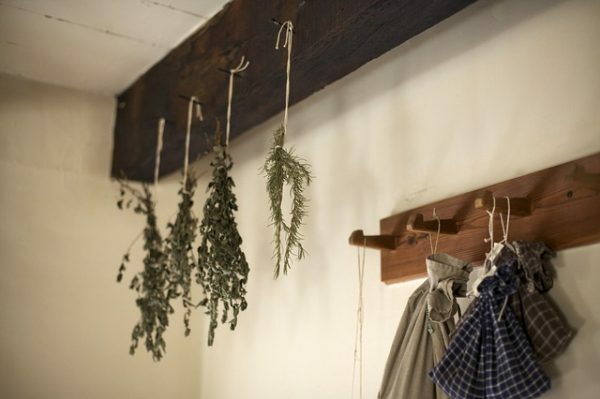 Once the herbs have been harvested, dry them for later use. This way you can enjoy flavorful herbs for months to come. August is the month to begin shopping for bulbs which produce spring blooms. You also need to buy garlic bulbs. 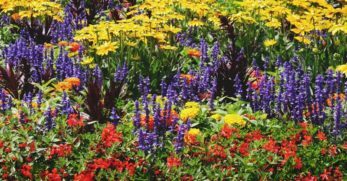 You can plant them both during the fall and have a beautiful array of spring flowers. Plus, you’ll have a nice harvest of garlic too. August can be a dry month. 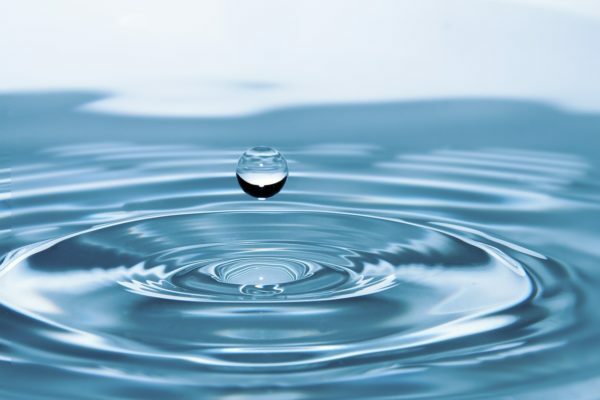 Make sure you supplement water as needed. Be sure to water your plants one time per week. But also, be sure to water the plants deeply during this watering. This will make up for any natural water shortage. This is the month to plant many vegetables. 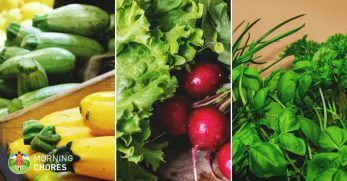 You can plant beets, swiss chard, and greens during the early part of the month. The end of the month is a busy time to begin transplanting vegetables. 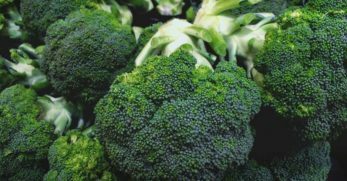 If you started vegetables indoors such as Brussel sprouts, broccoli, and cauliflower, now is the time to plant them in your garden. When your berry plants finish up their harvest, it’s the perfect time to prune them back. This will help keep the plants healthy and hopefully encourage a greater crop the next growing season. It’s best to harvest herbs when they’re in full swing. August is a month when herbs begin to thrive in this zone. When your herbs begin producing heavily, harvest them. Once they’re harvested, dry the herbs. Then you can enjoy your herbs all year long. 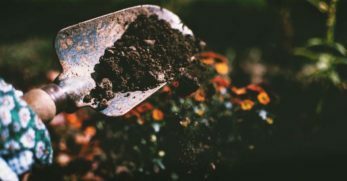 August is a time when you need to consider protecting your soil over the winter months. One way to do this is by planting cover crops. Whether you garden in an ample space or a smaller garden bed, consider planting a cover crop to protect the soil from the harsh elements of winter. 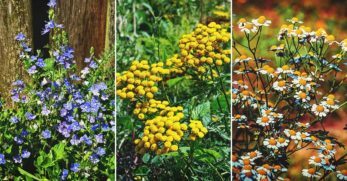 Are you planning a fall garden? August is the month to apply compost to the fall gardening spot. Then there will be enough time for the compost to break down before being needed by your fall vegetables. Do you like to have a later harvest of tomato and pepper plants? Well, this is the month to transplant both types of plants into their designated grow spot. Once they’re transplanted, they should be able to produce until frost takes place. If you can protect the crops during the frost, you may even be able to enjoy fresh tomatoes and peppers later than expected. Some plants do better when directly sown into the ground. You may be under the impression August is too late to directly sow anything. But I’m here to tell you different. 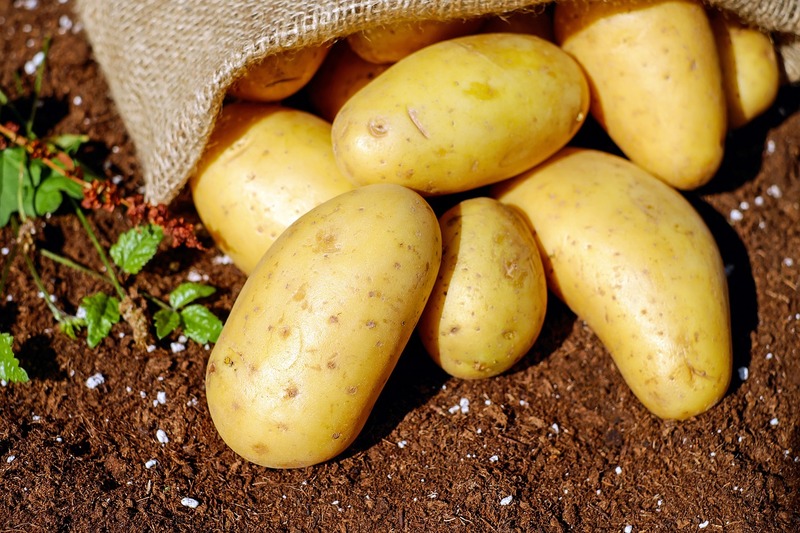 You can direct sow corn, squash, dill, basil, cucumbers, and lima beans this month. If your tomato and pepper plants are in full swing, you’d probably like to keep them this way. This is the month to prune both types of plants. Pruning will encourage the plants to grow and produce more. Which is what you want if you enjoy fresh veggies. 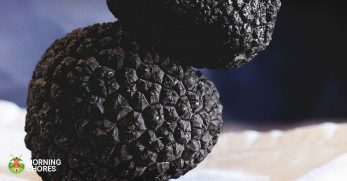 August can produce high temperatures and harsh sunlight. Some plants need shade from the intensity of the sun. 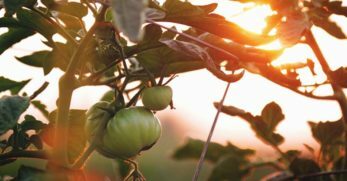 If you’re growing tomatoes, peppers, eggplant, melons, or lettuce, be sure to plant them where they can find reprieve from the scorching sun. Are you trying to grow giant pumpkins? Pay close attention to them this month. When you see other fruits begin to develop or female blossoms, be sure to remove them. By removing either the fruits or female blossoms, it’s encouraging the plant to put its energy into the fruit already growing instead of producing more. If you’re growing corn, lettuce, squash, cucumbers, or onions now is the time they need to be fertilized. Be sure to follow the instructions of any store-bought fertilizers. Otherwise, fertilize these crops once per week. 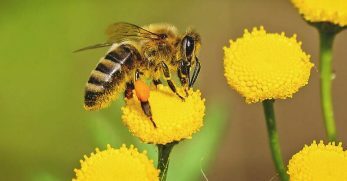 Marigolds are useful flowers, but they also produce a gorgeous golden color. 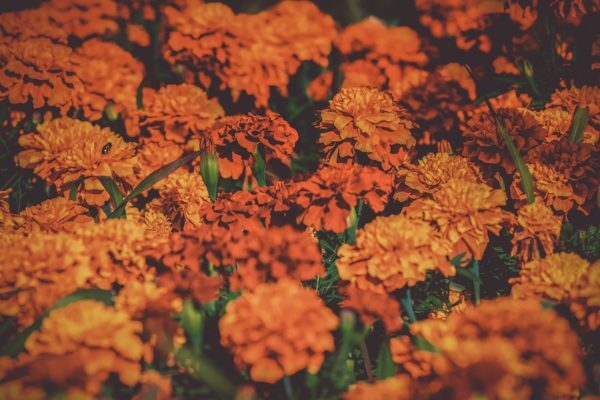 If you’d like to have pretty golden flowers during the fall, now is the time to plant marigolds. 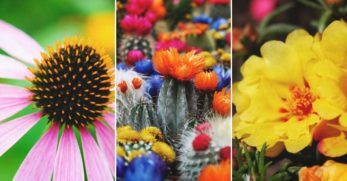 Are you looking for a flower to plant now to have gorgeous blooms in the spring? Well, consider planting forget-me-nots now for the beauty they’ll provide you later. August is the month to plant garlic. If you’d like to have an excellent spring harvest of a crop which requires little care, garlic is what you’ve been looking for. If you grow plenty of flowers during the summer season, now is the time to begin deadheading them to prolong their lifespan. Also, if you grow roses, August is the month to deadhead them as well. Deadheading is essential to turn back the clock on plants. 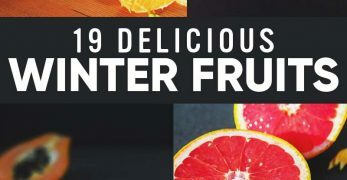 If you grow citrus trees, you’ve most likely been busy harvesting from them around this time of year. Be sure to fertilize citrus plants after the harvest to give them the nutrients they need to remain healthy and viable. 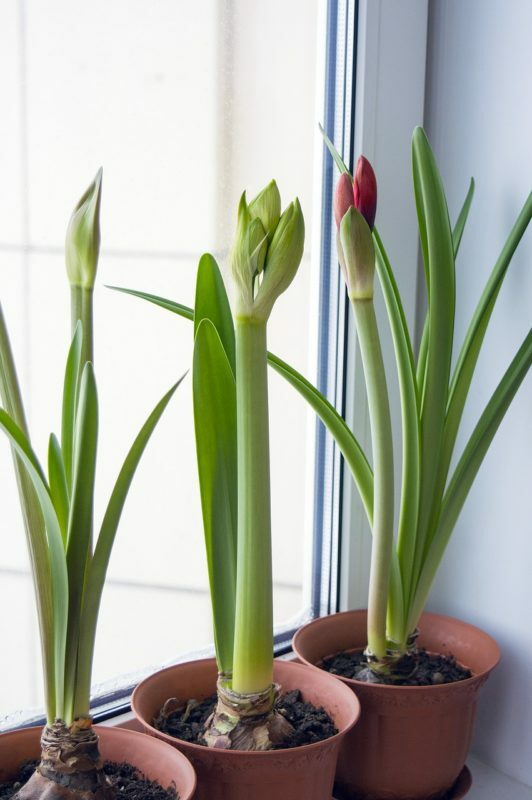 If you have indoor plants, now is the time to remove them from their old soil and repot them into fresh soil with fresh nutrients. Repotting will ensure your plants stay healthy. 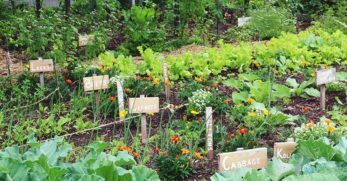 August is the month to get busy planning your fall and winter vegetable gardens. It’s important to note when to start seeds and when to transplant seedlings. If you’d like to grow nightshade plants or melons, start them in pots this month. They’ll need adequate shade from the sun during the hottest part of the day. Your compost pile will need shade this month. Be sure to place it in a location where it can have natural shade or add sheets, plastic, or palm leaves over the pile. However, be sure to cover it loosely. The pile will still need room for air to circulate and maintain adequate airflow. Any vegetable or fruit in your garden which is producing this month needs a helping of compost. Be sure to add an adequate amount around the base of each plant to give them a natural boost. If you have empty garden beds, fight the weeds and keep them from going to seed. You can do this by adding a good amount of water to the soil. Doing this will encourage the weeds to sprout. However, you cover the soil with clear plastic and leave it alone for approximately two months. By the end of the two months, the weeds should have sprouted and died under the heat. You now know what you should be doing this month in your garden. Whether you choose to go according to your region or planting zone, you should be covered. 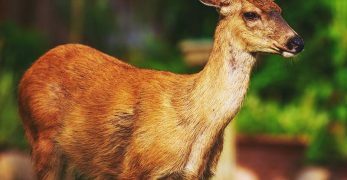 Even if you decide to combine the tips and add a few general tips in there as well, your garden should be well prepared for what is to come next in your area.